Made to order bleached mahogany extendable dining table. 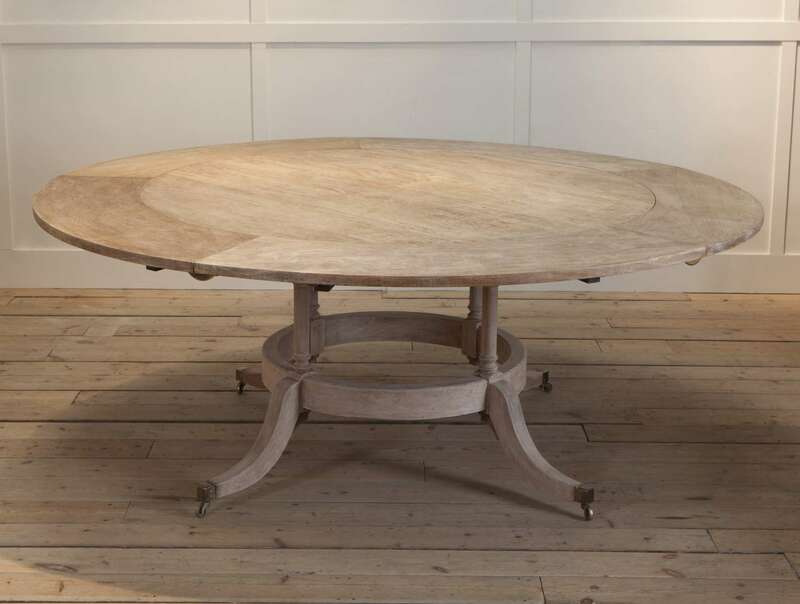 Only available in the size below with the extensions, can be made to any other size as a circular or oval table but without the extensions. Available in different timbers and finishes.